What’s the fastest way to boost productivity, increase your firm’s revenue by 50 percent and strengthen client relationships? There’s a simple strategy you can use to achieve these results almost overnight. Dump your time tracking spreadsheets. If you’re using an excel spreadsheet to manage time tracking in your firm, you’re hurting your firm. It certainly sounds that way but, as you’ll soon see, it’s really not. Your spreadsheets are doing subtle damage to your firm. It’s a necessary evil that’s part and parcel of legal work. It’s tedious busy work but it’s also how the firm makes its money. This is the problem. The damage is so subtle the claim is almost unbelievable. How can something as simple as time tracking spreadsheets lead to me losing a large client? Don’t misunderstand here. I’m not suggesting that spreadsheets are inherently evil. That’s still a surprising claim. These excel spreadsheets add an unnecessary amount of complexity to a seemingly simple problem. The danger is all around you. There are a variety of sources that will provide you with excel spreadsheets that are formatted for you. All you have to do is use it. 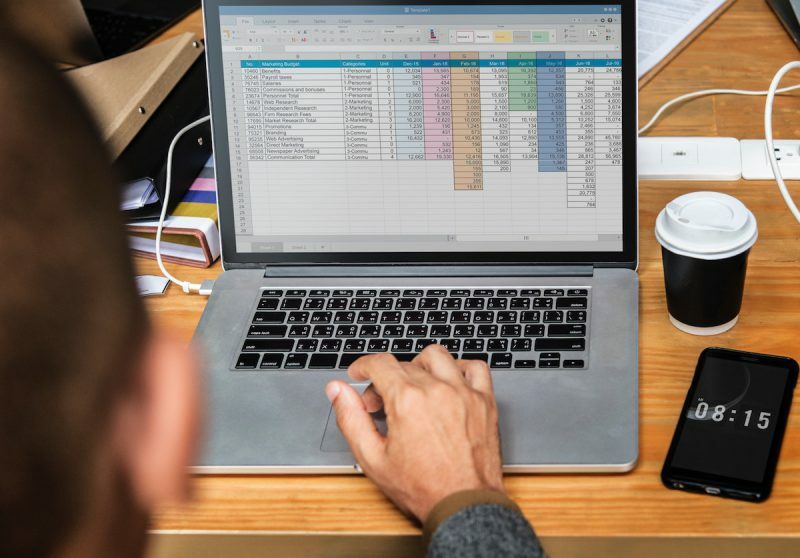 Other sources suggest that while spreadsheets are less than ideal, they’re still better than nothing. Your time tracking spreadsheets do damage to your firm in a variety of subtle ways. If you’re filling out time tracking spreadsheets you’re losing money immediately. A survey by Adam Smith Esq. and Smart Web Parts found that billable leakage costs firms $20,000 to $40,000 annually, per individual. Firms lose $16,294 per person, per year. That’s significant when you realize that attorneys lose 6 hours per day on non-billable busy work each day. These habits strangle your firm slowly over time. They create profitability barriers that making it extraordinarily difficult for firms to make money. I’m not talking about increasing revenue, I’m talking about keeping your clients. I’m talking about delayed billing. A study by Viewabill found attorneys who wait until the end of the month to record their time overbill their clients by 23 percent. This is a classic case of win the battle, lose the war. You cover memory gaps and make more in the short term, but you create distrust, anger and fear in your client. Is it really a short term gain? The research says no. A recent study from AffinityLive calculated that each person lost $50,000 per year. The culprit? Insufficient tracking of emails with clients and others. Almost 40 percent of respondents reported that they never tracked the time spent reading and responding to their emails. Email isn’t the only culprit. Firms lose an additional $50,000 per person, per year, all thanks to this one variable. A recent study by Ann M. Guinn for the ABA blog found that accuracy decreases with time. She conveyed a sobering story to demonstrate the point. “Consider the story of Helene, a lawyer who is a client with my practice management consultancy. One of her biggest problems was getting her time recorded regularly. I had an appointment with her at 2:00 pm one day, and as we headed into her office, Helene’s assistant informed her that a client was on the phone. Helene turned to me and said, “Do you mind if I take this call?” I told her I’d wait in the lobby. On a table next to my chair was a phone, and I could see that the light for her line was on. And it was on, and it was on, and . . . you get the picture. When Helene finally came for me, I asked her if she had written down the phone call. “Oh, right,” she said, and grabbed a piece of paper. She wrote out the date, the client’s name, the topic of discussion, then hesitated when it came to the time. She said, “Let’s see, that was 20 minutes,” and wrote that on the paper. As uncomfortable as that was, it conveys an important point. Our memory isn’t always as reliable as we believe it to be. The research bears that out. Tracking our time as-it-happens is the most reliable (and most profitable) method. The longer you wait, the more billable leakage you experience. You lose 10% of billable time if you record time the day of, once a day. This is as bad as it gets, right? These spreadsheets siphon more revenue from the firm via duplicate work and double entry. Your firm has multiple clients with multiple spreadsheets for each client. To complicate things even further, each associate has their own copy of the time tracking spreadsheet. Who has the most up-to-date copy? Did the other associates working on a client matter download your most recent spreadsheet? If they added their time to an old spreadsheet your most recent work is gone. The 15 hours of work you spent on your client’s case has vanished. If you think to look for it. But there’s really no reason to. You’ve already recorded your time so you’ve most likely marked that as completed in your head. In the coming weeks, you’ll work even harder to meet your quota for the month. You won’t realize you already met the goal only to lose them to double entry and poor version control. 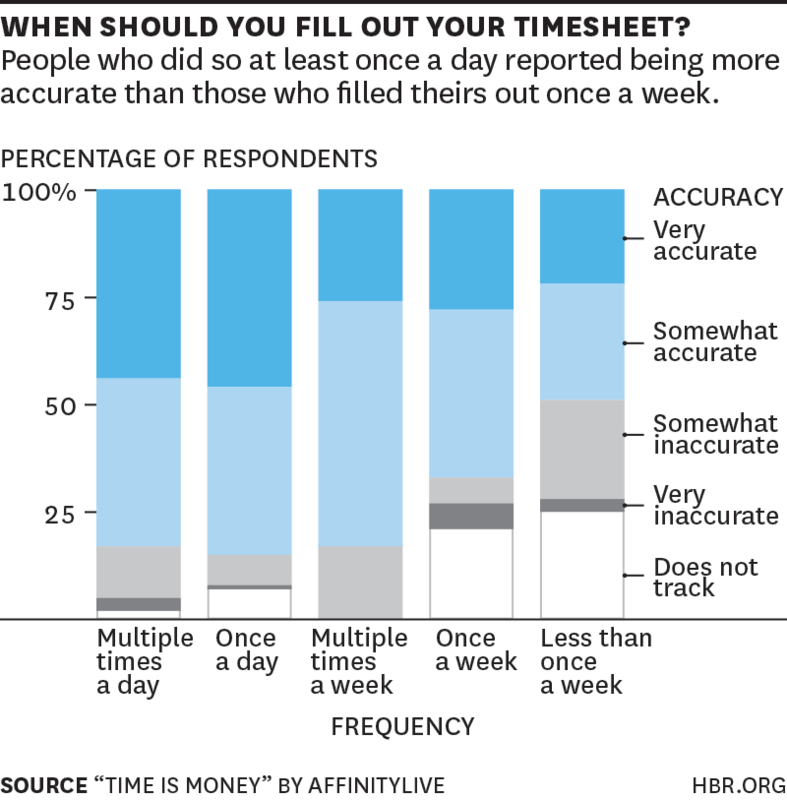 Who uses spreadsheets or paper to track their time? And if they’re away from the office? The damage spreadsheets do to your firm? A quick back-of-the-envelope calculation will show you’re losing a significant amount of money. You’re working harder than you need to, all because your spreadsheets have added unnecessary complexity. Maybe you rely on AFAs to bill clients or you’re an of-counsel attorney. There’s no need to record your time am I right? The ABA’s Model Rules of Professional Conduct doesn’t specifically permit value billing. Courts have overruled carefully drafted AFAs. A judge in the Delaware Chancery Court awarded plaintiffs $285 million. But before they could collect they needed to submit a written application which included details of its hourly billings. Every bankruptcy court in the country has rules similar to these which, as it turns out, approves every fee application (with the exception of special or previously approved cases). There’s no way around it then is there? Want to increase billables by 50 percent? Use automatic time tracking to increase your revenue, boost productivity and strengthen client relationships. If you’re using excel spreadsheets you’re losing time and money. Time tracking doesn’t have to be miserable. With the right time tracking solution you’ll be able to automatically convert appointments into time entries, tracking appointments automatically with the push of a button. With the right solution you’ll have a centralized, real-time tracking solution that’s lethal and precise. One that just works, whether you’re at your desk, working from home or out of the office. But it’s a solution you can see for yourself. Ready to win back more of your precious time and hard earned money? Try automatic time tracking free for yourself.